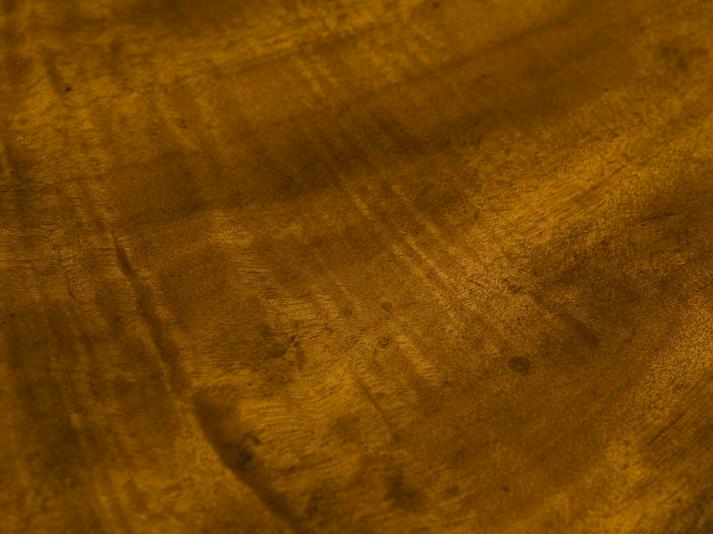 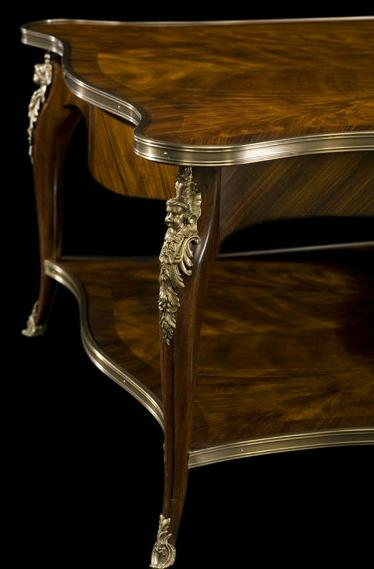 Description: High end flame mahogany cocktail table. 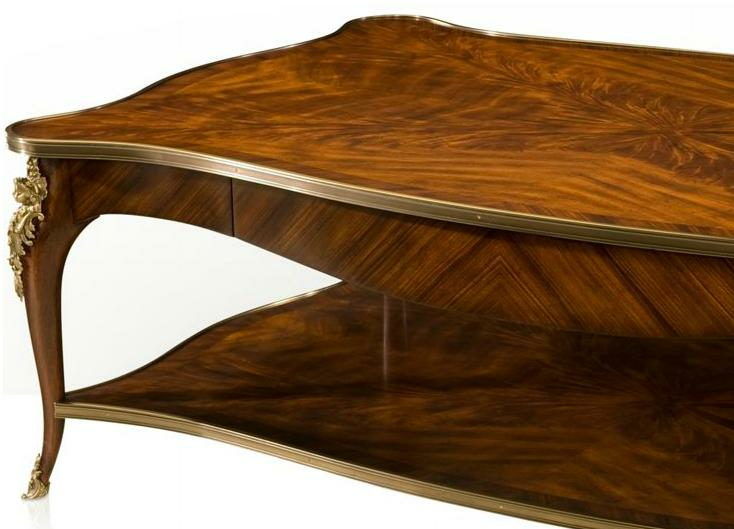 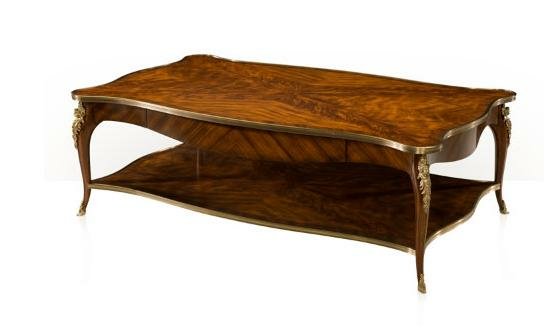 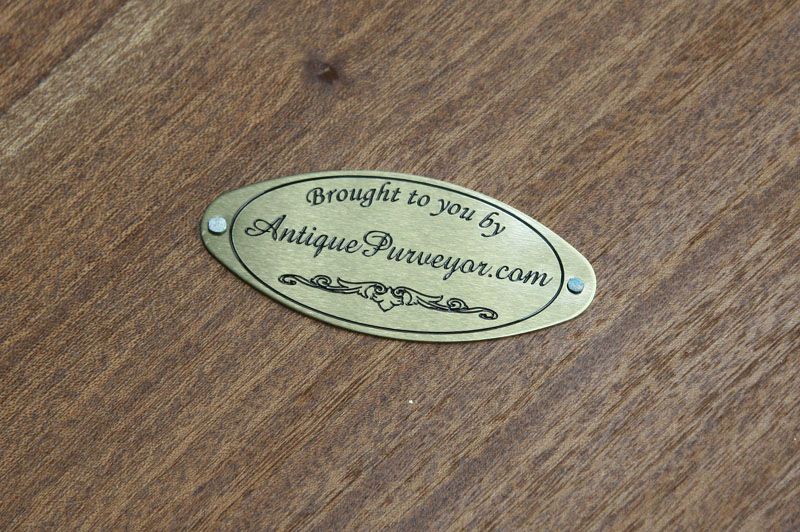 This cocktail table or coffee table, is a combination of fine mahogany, rosewood, and brass detailing. 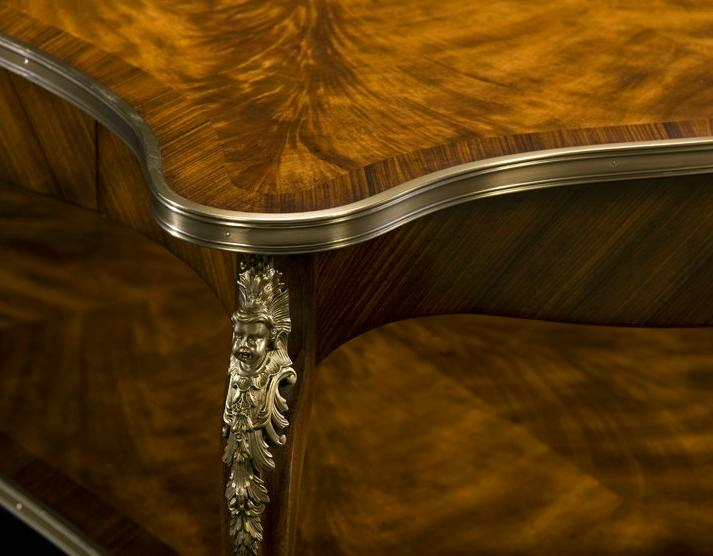 The table also has a frieze drawer and stands on cabriole legs. 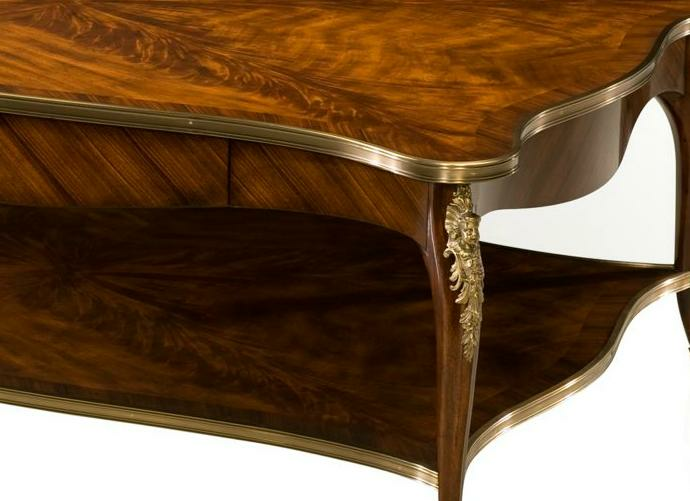 The styling is inspired by a Louis XV piece circa 1770 making this a true high quality antique reproduction.